But I did it. 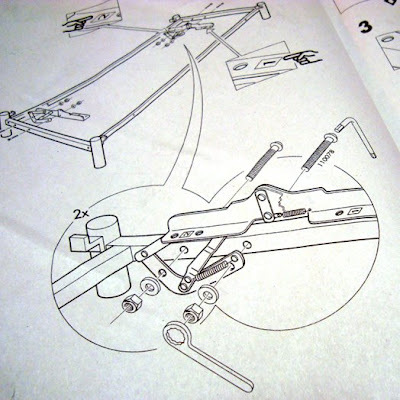 I assembled my IKEA BEDDINGE sofa-bed all on my own, this morning. And I'm feeling rather proud right now. Ridiculous, I know, since IKEA stuff is meant to be assembled easily even by the slowest of people, but still... Colourwise, I wanted the purple cover I had been lusting over in the catalogue, but they bluntly told me it has been discontinued, so I got a brownish green instead. Now that I have put the rest of the sofa together, I'm thinking of returning it and making my own cover instead. After all, the cover was actually the most expensive of the three sofa parts you have to get (140 euros for the cover, 125 for the frame and 110 for the matress). I don't know if I am getting overly optimistic about my sewing skills, but how hard can it be to sew together two INDIRA bedspreads, 10 euros each? Piece of cake, I tell you. 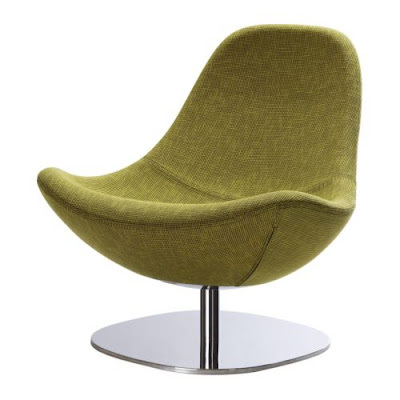 And that way, I can put the 140 euros towards this amazing TIRUP swivel chair. That thing totally swallows you whole! In a good way, of course. And hey, I know this blog is in the verge of loosing its fashion interest, but unfortunately there are no pictures of my walk-in closet yet. I am working on it and I believe it will be ready for its first photo shoot in a day or two. But, I'm afraid that even then, it won't be in its final state. Smells like those eternally "work in progress" projects. What I do know is that I have to get it in a functional state sooner or later so I will be able to get dressed in the mornings in something else other than sweatpants, so expect visual input soon! We'll be here when the fashion comes back. take decorating equiping your very own place is really creative stuff! Congratulations! I can never master IKEA furniture! A walk-in closet????!!!! That has always been one of my dreams...! Congrats on the assembly! i get scared even by looking at the instructions! So you lucky girl enjoy your totally own walk-in closet! Exploded view diagrams, you gotta love them!!! μεγάλος μπελάς αυτά τα ΙΚΕΑ.